It's no secret, if you want to get losing you've got to get moving! You've seen contestants drop pounds on NBC's hit series "THE BIGGEST LOSER" and now it's your turn! Whether just beginning or ready to take your fitness up a notch, this six-week program provides three pound-shedding workouts designed to beat the bulge one intensity level at a time. 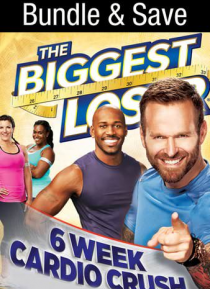 Series trainers Bob Harper and Dolvett Quince, a… long with Season 14 all-stars, provide the proven methods needed to transform your body!